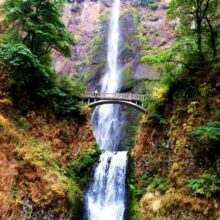 We just got back from a dream vacation with Travel Oregon. We spent ten glorious days exploring beautiful Oregon. We loved every second of our trip. We wish you could have all been there with us. We will do our best to recap some of our favorite spots, happenings, and eats. We flew into Redmond, rented a car, and drove straight to Bend-the first stop on our ten day tour. We met one of our good family friends and blog followers, Marilyn, for lunch at Zydeco. 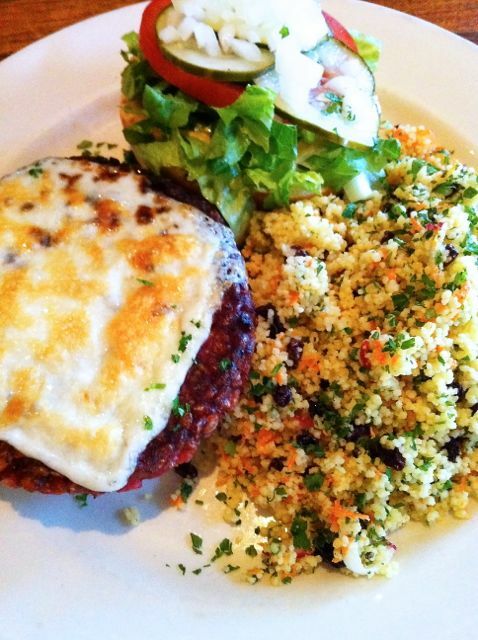 I ordered the homemade vegetable burger with couscous. It was amazing, the best veggie burger I have ever eaten. It was made with beets, tofu, and lots of other yummy things that I can’t remember:) The couscous salad was perfect too-loved the currants! Josh ordered a pulled pork sandwich and gave it two thumbs up. Thanks Marilyn for a fabulous lunch! 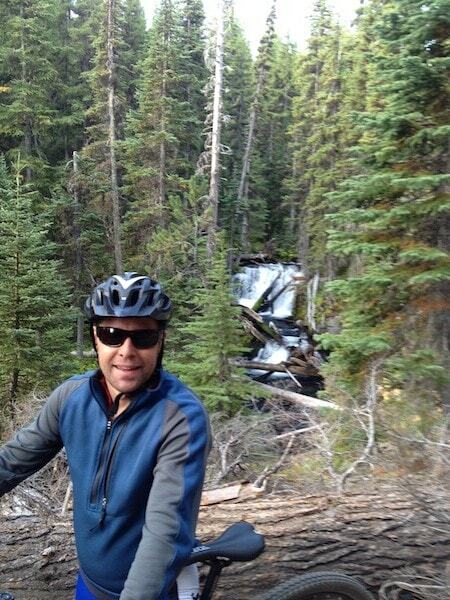 On Saturday morning, Josh went on a three hour mountain bike ride with Cog Wild Mountain Bike Tours. 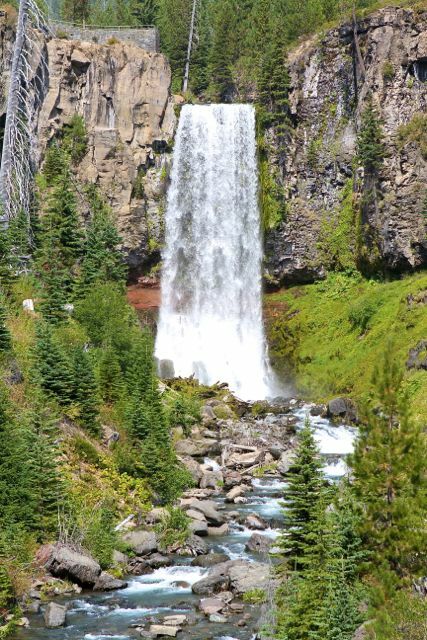 His guide, Lev, led him on a ten mile tour of the Tumalo Falls bike trail. Josh loved the scenery and it was a great ride. Thanks Cog Wild! Josh couldn’t stop talking about Tumalo Falls so I made him drive me out there. He was right-the falls are stunning! 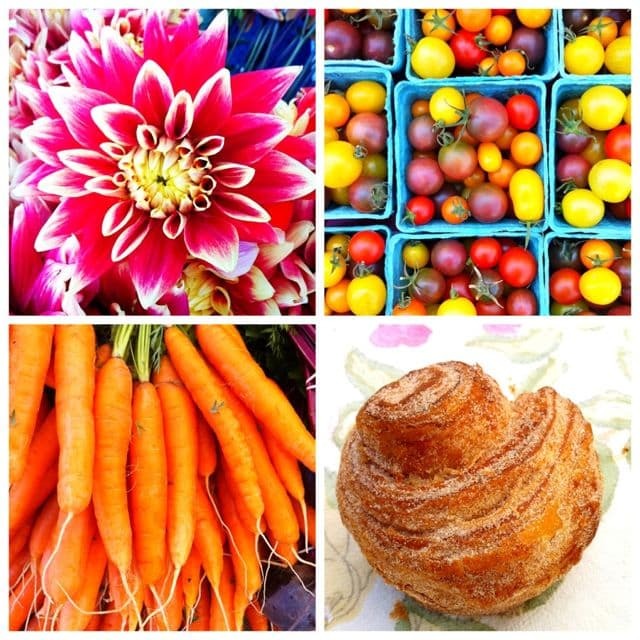 We stopped by the farmers market. It was a beautiful day to be outside! 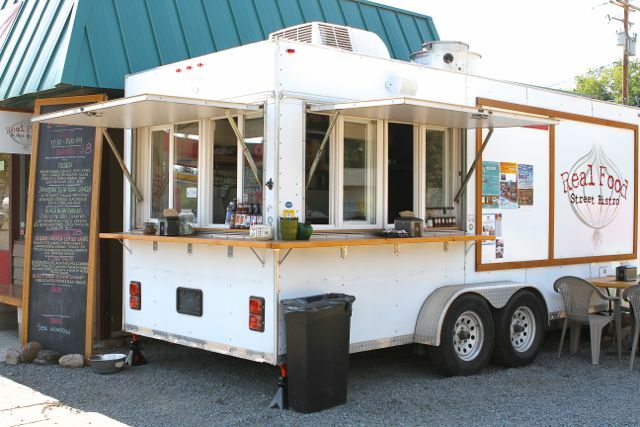 For lunch, we ate at Real Food Street Bistro-a popular food truck in Bend. I ordered the black bean burger-big surprise, huh? 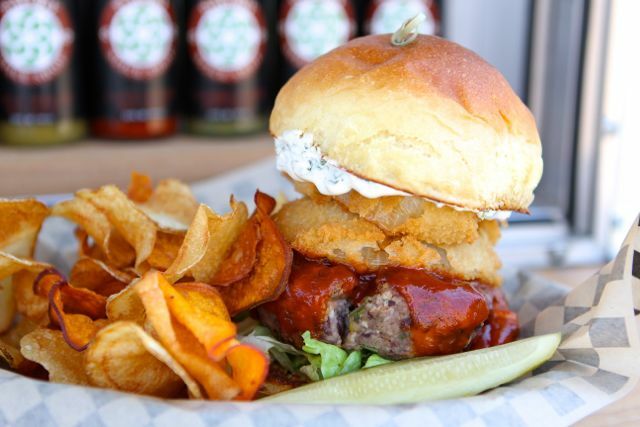 The burger was topped with chili lime bbq sauce, honey cilantro sour cream, mixed greens, beer battered onion rings…all on a challah bun. It came with a homemade spicy dill pickle and hand cut root chips. I had to eat the burger with a fork it was so huge. It was awesome! Josh devoured the sweet chili sesame chicken. The food from Real Food Street Bistro is the real deal. Later that night we met up with Amanda, Kevin, and Kristine for dinner at 5 Fusion. The meal was amazing! Hats off to Chef Joe! 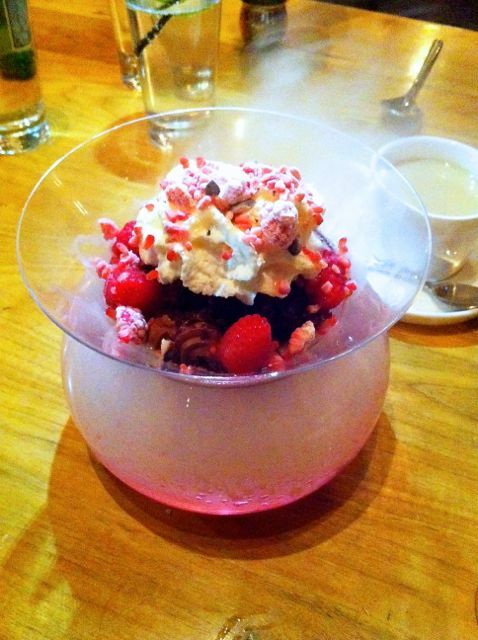 Look at the dessert we enjoyed-chocolate cake with chocolate mousse, fresh & nitrogen frozen raspberries, white chocolate sauce, and a mint vapor. It was so cool…and so delicious! The next morning we went to breakfast with Kevin and Amanda and stopped at Sparrow Bakery. I had to get some cookies for the road. I ordered a peanut butter chocolate chip cookie for me and an oatmeal coconut chocolate chip cookie with dried cranberries for Josh. Ok, I may have eaten half of his cookie too, but he likes to share:) The cookies were big, thick, and delicious! I give them an A+! We loved our time in Bend. 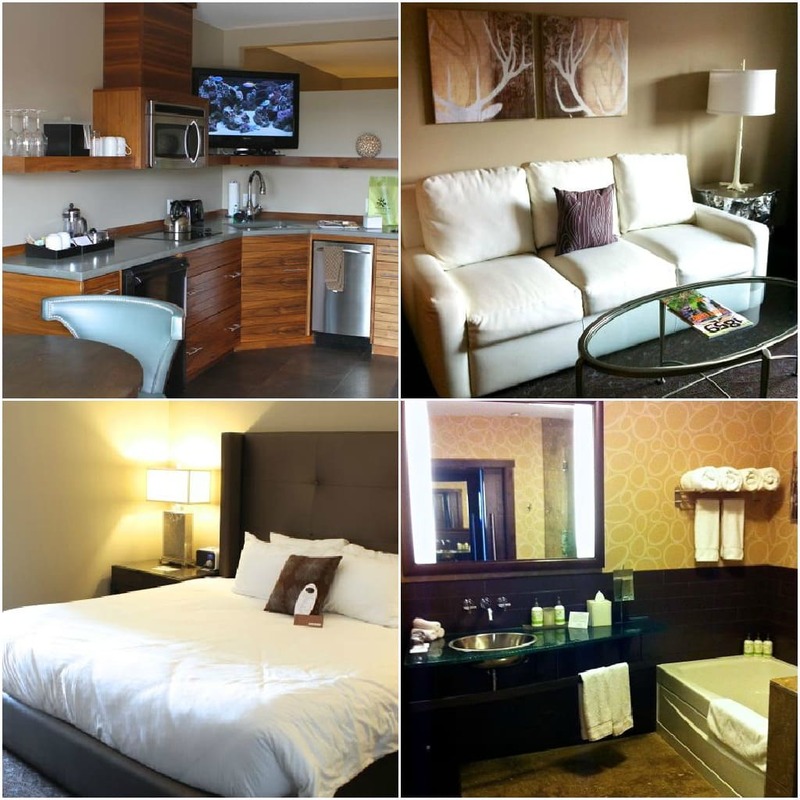 We can’t wait to go back! 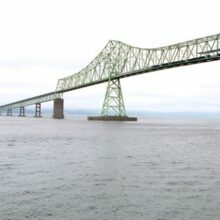 Stay tuned for the next part of our Oregon trip-the Oregon Coast! 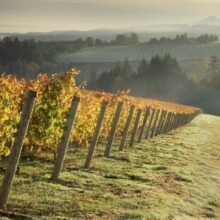 Disclosure-our trip to Oregon was sponsored by Travel Oregon, but our opinions are our own. What gorgeous photos! You inspired me to head up to Tahoe this weekend for some Fall fun!! What a dream!!! This looks amazing. It’s so great that Josh + Caleb got to come and that Josh could go on the bike adventure. Way too cool. Can’t wait to see what else you guys did! This is our homeland!! LOL!! We moved from Oregon to Florida in 2008. Got to go back and visit this summer…and we went to Sisters, OR for my nieces wedding. It was rainy the whole time we were there…but we loved it!! 🙂 We miss green trees and cool fall weather. But Florida has its perks, too! Sun.All.The.Time!!! 🙂 Can’t wait to read about your coast trip. The Oregon coast is where we spent our honeymoon…nearly 20 years ago now! 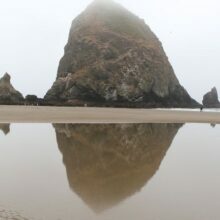 Canon Beach…my favorite!!! Glad you got to experience such a beautiful place!! I had the pleasure of doing design work for a client in Bend several years ago. It is a truly amazing, scenic and very peaceful place. Thanks for the beautiful pictures. 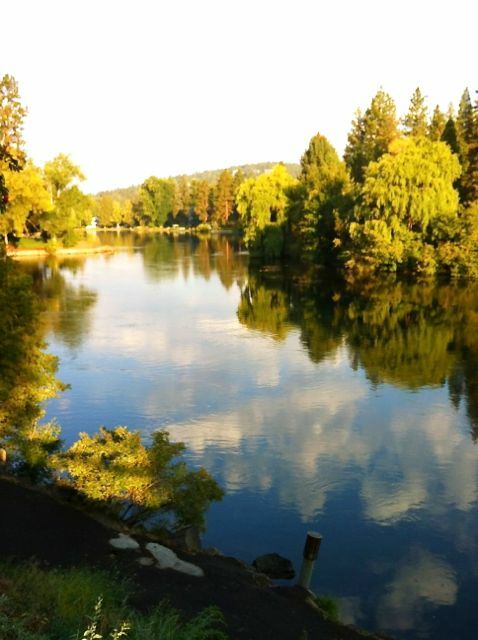 Beautiful photos — especially the one of the river. it looked like an amazing trip! you took some lovely photos, I’m so happy you were able to share them with us! Thanks for following along! We had so much fun! Looks like fun. Too bad we couldn’t meet up. I love that hotel, they carry our wine:). Bend is such a cool hip city. 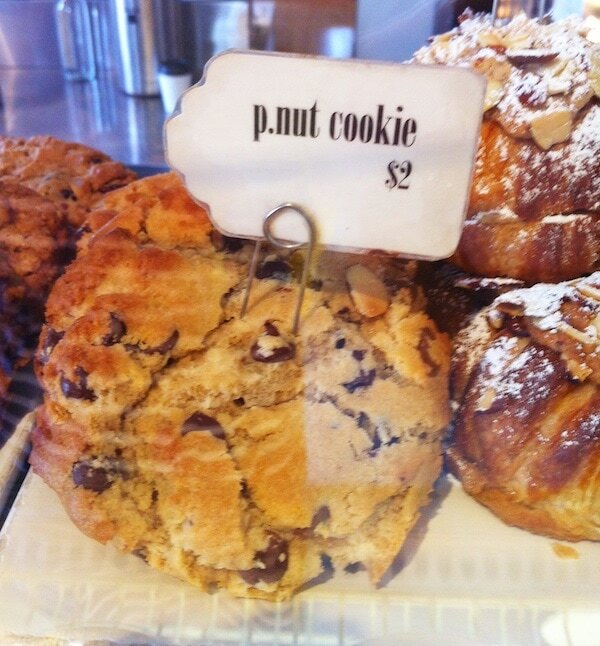 Glad you enjoyed it…and pnut cookies – yow those look delish! That’s sooo gorgeous! Thanks for sharing! The trip looks great! I just love the north west. Can you please send me some of those pastries from the farmers market? And the veggie burgers…are you kidding!?!? it all looks glorious!!! What a beautiful trip you all had! makes me want to visit! Bend is wonderful. When we moved to Oregon over 6 years ago we really wanted to live in Bend, but no jobs available. So we moved to Portland and were really disappointed at the weather difference. So gray and gloomy and rainy 10 months straight. 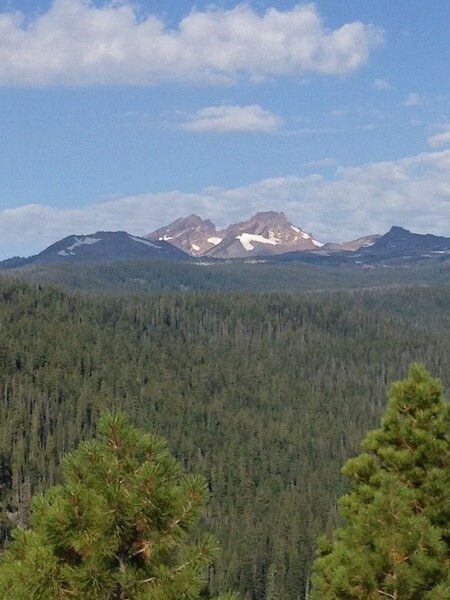 I am sure we would have loved Oregon more if we had lived in Bend. Its really beautiful, great food, amazing places to hike, but the gloom did us in. If the weather was sunny year round or at least 6 months of sun we may have stayed – Its definitely a better place to visit than live. No way! We are actually from Bend, but live in Georgia now. I can’t wait to take Noah back and let him play all over the place with the family. Isn’t it gorgeous there? Oh….we miss it a lot. Love those falls, the restaurants, the people. Glad you had a great time! Did you get a chance to check out Smith Rocks? I just recently moved to Bend OR from Chicago because of all of the awesome outdoor activities and friendly people! I love it here and the weather is FANTASTIC! Oregon. Must put that on my list of must travel to places. Well, I always say I want to move there, but I am not sure that is likely. Glad you enjoyed the trip. That dessert sounds very techy and fun! Glad you guys enjoyed Bend and explored the best that is has to offer. I hope you tried an Ocean Roll from Sparrow Bakery, if not you have to when you’re back!